Its only name explains all. The beach of Silence is a mute landscape surrounded by cliffs and by the rumour of sea. It has a shape that resembles a shell and it is 500 meters long. 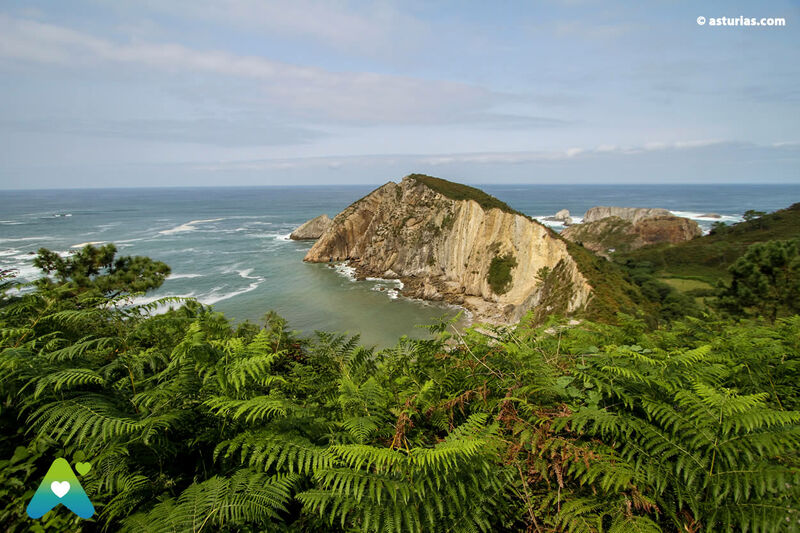 Here we find cliffs, little islands opposite the beach and the unique quality and colour that characterises the Cantabrian Sea. This beach is completely surrounded by the most beautiful nature. It is a unique place whose main attraction is its good state so for this reason, it must be respected by all visitors. This virgin nature well deserves the title of “Protective Space”. The local people usually call this beach “Gaviero or Silence”, probably because this area is especially populated by an important colony of seagulls (“Gaviota” in Spanish, from it “gaviero” referring to the colony of seagulls) that find here the perfect place to live. This beach is often frequented by seamen, people keen on nautical sports and people who enjoy scuba diving, because this environment has the perfect physiognomy to put it all in practice. The sea is often calm so diving here is always a good experience. Our recommended immersion starts on the right side of this beach where we can surround the eastern cliff, but if we are still interested in swimming a bit further we can reach several little islands. At this point we can immerse ourselves up to 18 meters of depth. The existent kind of life at this depth is characterised by the presence of mussels and goose barnacles which live over the rocks or fish like conger ell or even sea bass. On the beach, the sand is fine and golden and it also mixes with gravel and boulders. In order to have access to this beach we must leave our vehicle in the surroundings of the town called Castañeras and then go down by a steep ladder. This access is not difficult at all, but this is probably not as easy as others accesses in the Cantabrian coast. When there is low tide, the beach of Silence gives way to the small cove of El Riego, another sandy area also full of charm, located between the isle of Sarna on the west and Punta Gayuelos on the east. Here the rocks draw an unusual landscape thanks to their capricious shape. This is the perfect place to enjoy the most absolute quietness. From here we will be able to see a great number of small islands. The beach of Silence can be understood as the perfect metaphor that illustrates best a paradise lost, since, we are living in a more artificial world than ever for this, we look desperately for quiet places far from our society. There’s no excuse to visit the beautiful town of Cudillero. 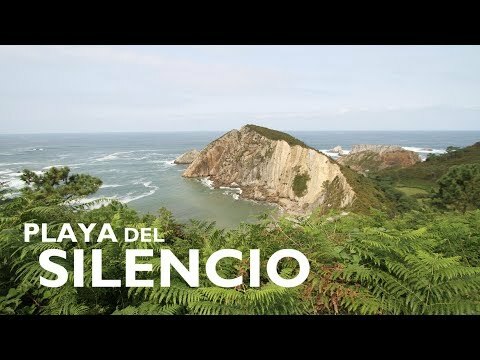 The beach of Silence is located in the western half of the council of Cudillero . The nearest towns are Castañeras and Novellana. The locality of reference to reach the beach Silence is Castañeras , taking the corresponding output on the N-632. The beach is just over a kilometer of that population. Most of this route can be done by car, but not the last 250 meters, to be covered on foot. The sand is descending a staircase on the cliff. For those who may not have your own vehicle, in Novellana there a way station for railroad; this option, but forced to walk a long way, has the appeal of the beautiful coastal route by which the train.